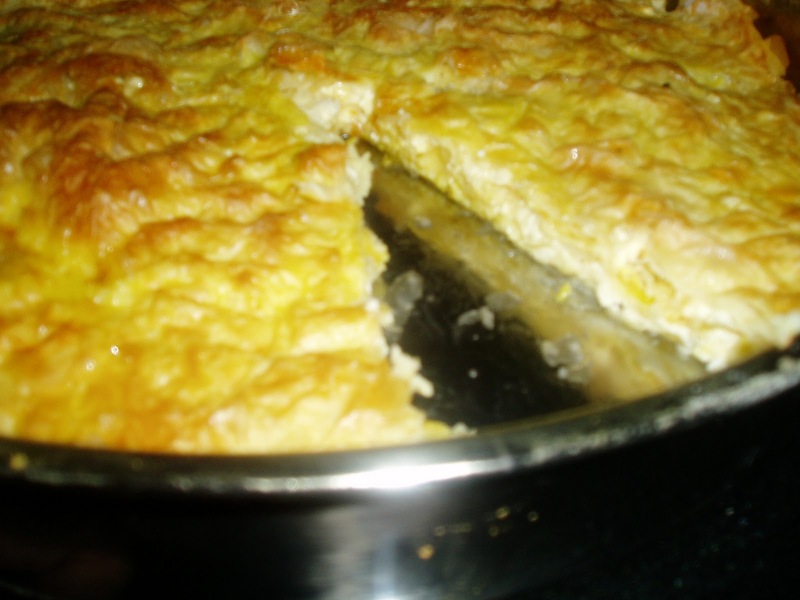 Bulgarian Village Recipe's: Traditional Bulgarian Banitza (Bahnitza) or Cheese Pie! Traditional Bulgarian Banitza (Bahnitza) or Cheese Pie! 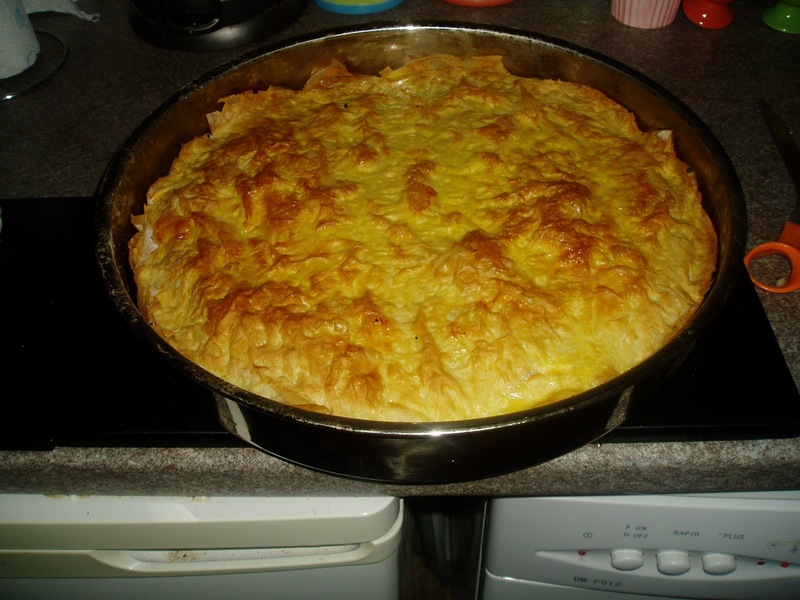 Banitza is one of the most eaten dishes here in Bulgaria. 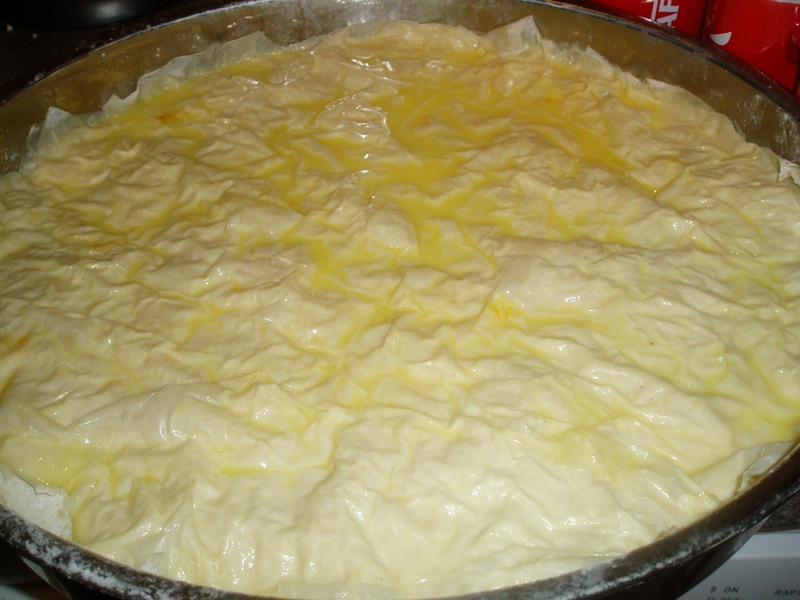 You can buy it everywhere, eat it hot or cold & it has many varieties of filling but most traditional is the cheese banitza. 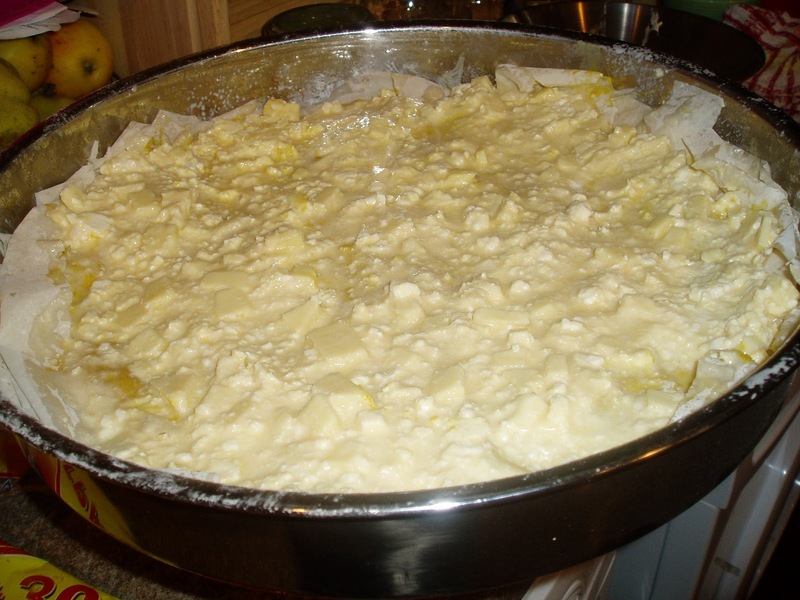 I have waited almost two years to make it because I didn't have a proper pan & didnt want to fudge it up. It is eaten as breakfast, main meal, dessert & a snack. I have had many, some have been dreadfull while others amazing. For dessert I have been given cheese banitza spinach banitza & pumpkin banitza. I am pleased to say my recipe turned out to be amazing! If you like cheese you will love this. Why not use your favourite cheese instead of these & let me know how it turns out! 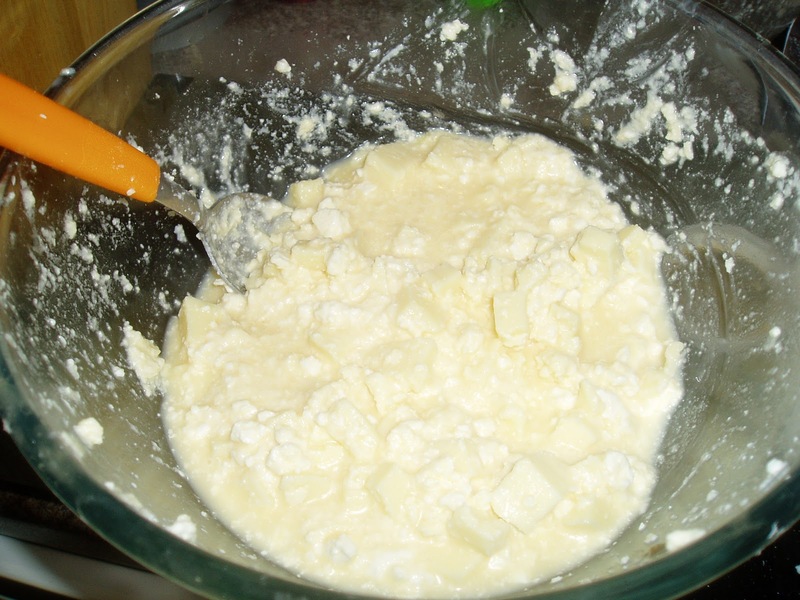 Mix 6 eggs blobs of butter/margerine, crumbled sirene & kashkaval cheeseswith the milk. In a large buttered pan lay 3 leaves of filo greasing each piece before the next. then spoon in a layer of the mixture. 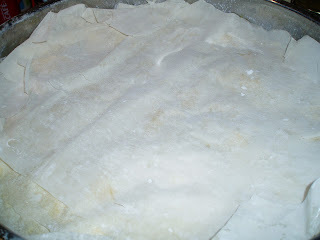 continue with this layering, doing three layers in all. Finishing with a layer of filo.